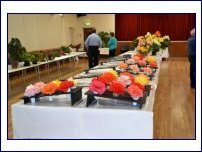 The Yorkshire and Humberside Area Show was again well attended with plenty of exhibits. 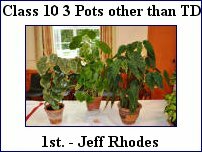 This was testament to the hard work of the retiring Area Rep Jeff Rhodes. 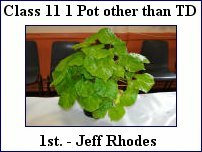 Jeff has served the society in various rolls for many years. 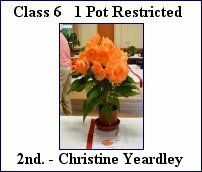 The society hopes that a new Area Rep will come forward to take the reins in the future. 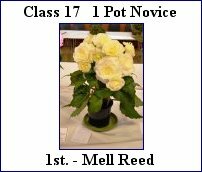 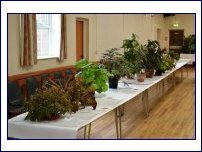 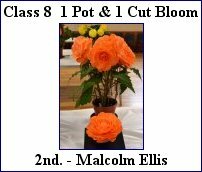 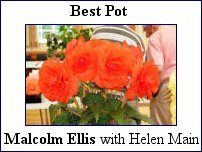 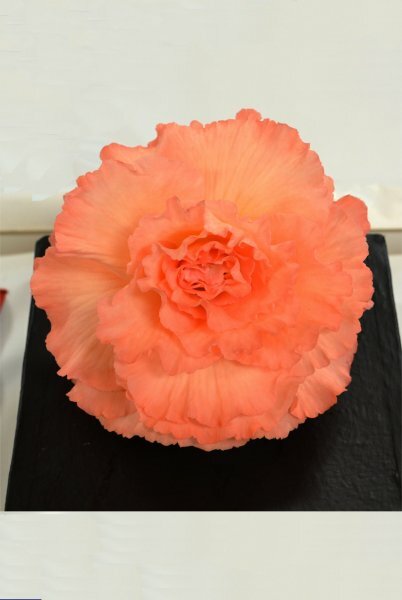 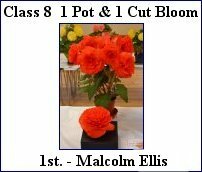 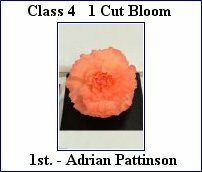 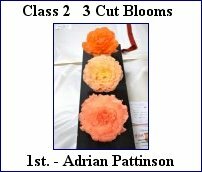 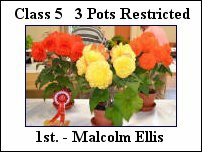 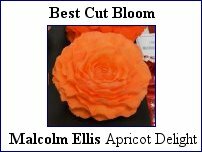 The man of the show this year was Malcolm Ellis who won both Bronze Medals for best pot with Helen Main and Best Cut Bloom with Apricot Delight. 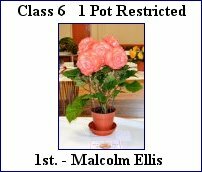 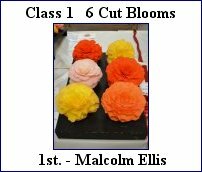 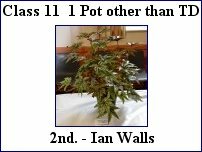 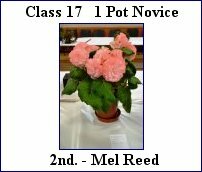 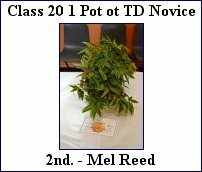 Malcolms exhibit for 3 single stem pot plants also won the Best Exhibit in Show award. 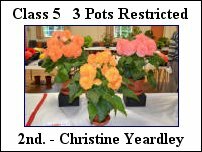 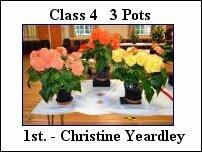 Christine Yeardsley again won the 3 pot unrestricted class. 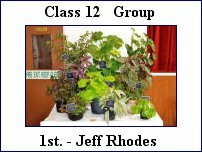 Jeff Rhodes won all the foliage classes including the group class. 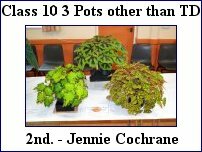 His exhibits were of a high standard and showed the variation of leaf form and growth habit of these types. 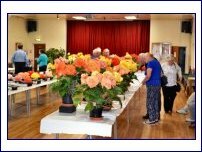 Derek Telford again visited the show although not as a exhibitor having retired from exhibiting last year at the age of 92 years. 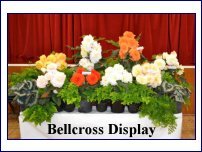 Thank you all the exhibitors for making it a success. 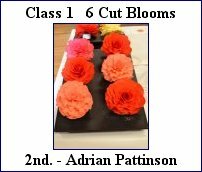 My personal thanks to Andrew MacDougall who ably assisted me with the judging.